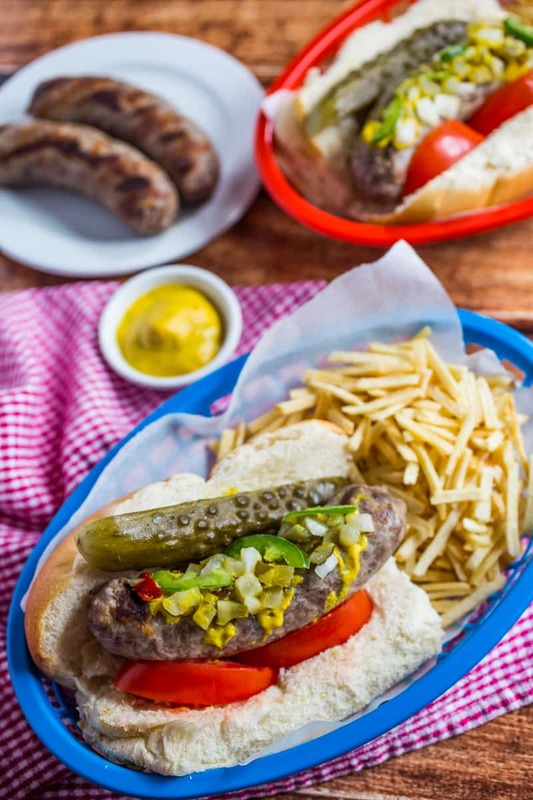 Turn on the grill for this Chicago-Style Brats Recipe! 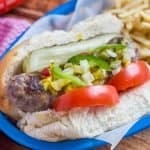 All the fresh and tangy ingredients of ripe tomatoes, diced onions, kosher pickles, and spicy peppers on top of a grilled bratwurst that’s perfect for sharing with family and friends. This Chicago-Style Brats Recipe is sponsored by Johnsonville, but all opinions are honestly and completely my own. This may sound crazy, but a hot dog is not the first thing I think about putting inside of a hot dog bun. I’m just not a huge fan of the frankfurter. You know what I am a huge fan of? Bratwurst. Love the rich, spicy, full on porky sausage goodness, all wrapped up in a natural casing that has a definite snap to it. Grilled, pan fried, or steamed in a nice hot bath of my favorite beer with lots of onions floating around for good measure. It doesn’t matter how the brats are cooked, I love them every way possible! In my travels, I will say if I’m ever going to eat a hot dog, I’m a sucker for a Chicago-style hot dog. 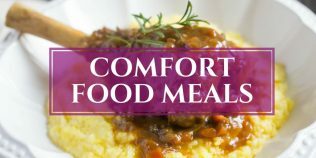 It’s got a ton of awesome fresh ingredients with different tastes, textures and even temperatures. 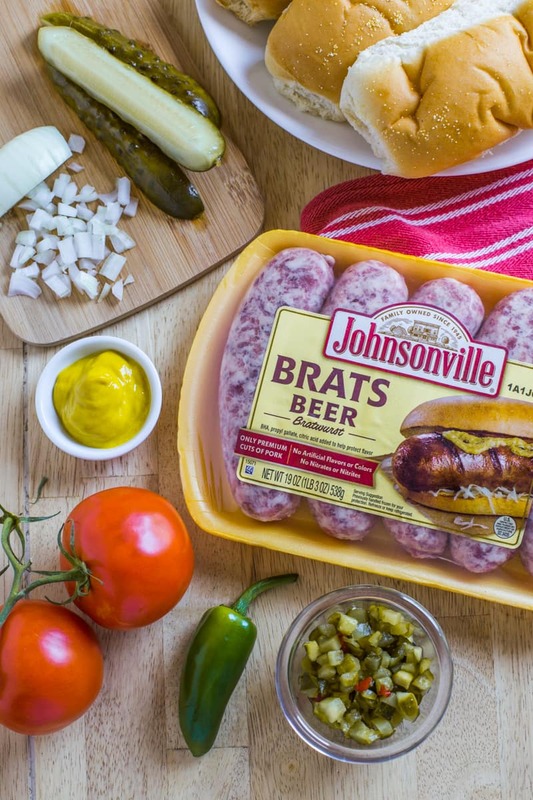 Recently I was given the opportunity to work with Johnsonville and their brats, so I jumped at the chance. I turned some inspiration into a little Midwestern mashup with this Chicago-Style Brats recipe. 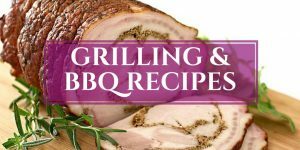 Plus, I’m always up for a good ol’ bratwurst recipe or grilling recipe. The slightly smoky, slightly spicy pork Johnsonville Brat is the ideal combination with all the fresh fixings. Wisconsin meets the Windy City in this (not so) classic combination. 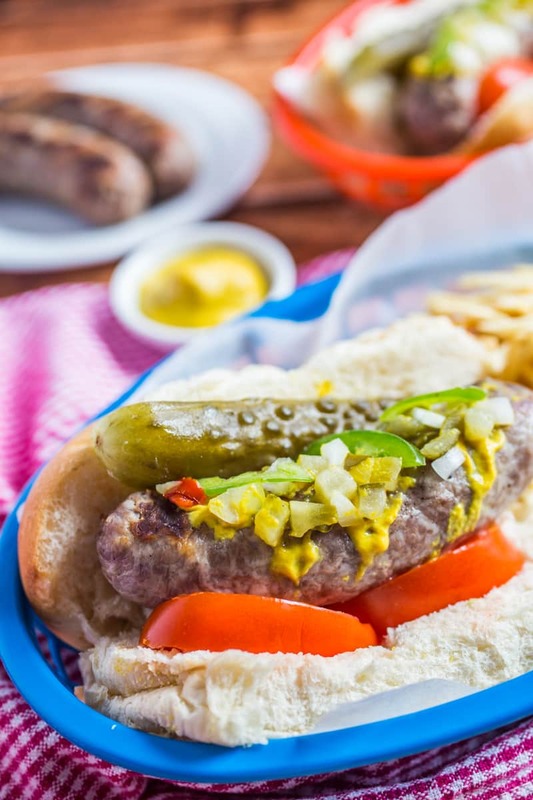 Nothing says lovin’ like a big ol’ plate of brats, so celebrate National Bratwurst Day by grilling up this easy Chicago-Style Brats Recipe for family and friends! 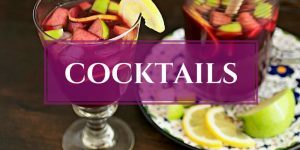 Looking for an awesome side to serve with the brats? 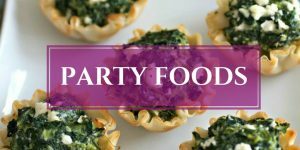 Try my recipe for Mexican Street Corn Potato Salad for a deliciously different take on the classic side. 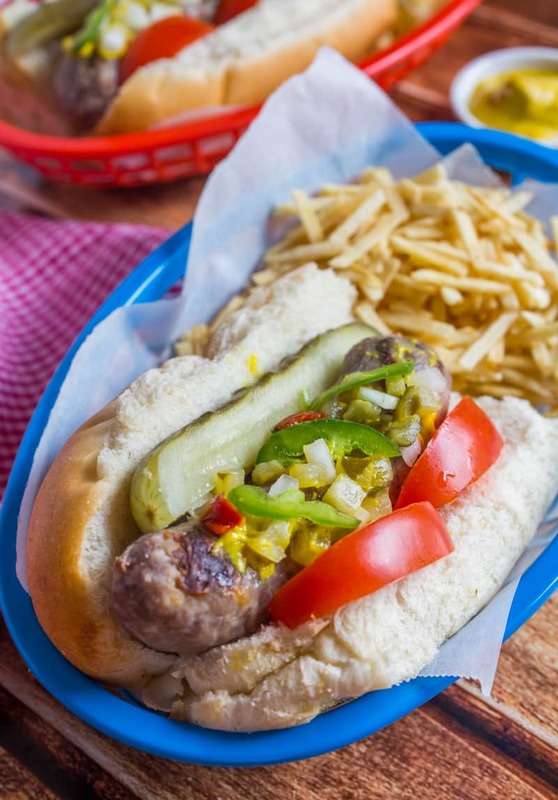 Turn on the grill for this Chicago-Style Brats Recipe! All the fresh and tangy ingredients of ripe tomatoes, diced onions, kosher pickles, and spicy peppers on top of a grilled bratwurst. Prepare brats according to package directions. Lightly steam or grill the buns, then put a cooked brat in each bun, top with desired amount of the mustard, relish, and onions. Place two tomato wedges on one side of each bratwurst and place one pickle spear on the other side. Top with two sport or pickled spicy peppers and a dash of celery salt. 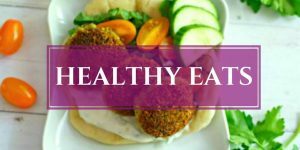 ***I couldn't find the traditional Chicago-Style poppyseed buns or sport peppers where I live, so I substituted fresh unseeded buns from our local bakery and pickled jalapenos from my garden for this recipe. Next time, I'll bake my own poppyseed buns and will mail order a jar of sport peppers from Chicago. Oh wow, Karrie! I have been avoiding bratwurst for years based on misconception! I thought all Brats had veal, and I don’t eat veal. Do you mean that I could have been eating them all this time?! Looks like I have some catching up to do and would love to start with one of these Chicago Brats with pickles and the little bit of heat.? Yum. I love pork. Any way it’s packaged. Good blog, great pics!! YESSS! Of all the summer things, brats are one of my favorite. I mean, come on, something about them is just SO summer and so irresistible! 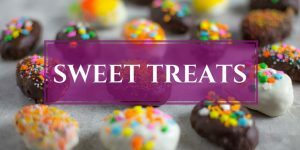 Gotta try these! I am a HUGE fan of brat in a bun!!! That pickle looks just perfect in there. 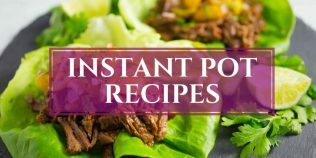 Super delicious looking!! I don’t eat meat BUT I will ditch my diet for a good dog. I’ve never had a Chicago style dog, loving the addition of jalapenos and tomatoes. I have a sneaky feeling that I would devour this dog in only a few bites without any guilt.